You can also forward removable drives such as USB stick. 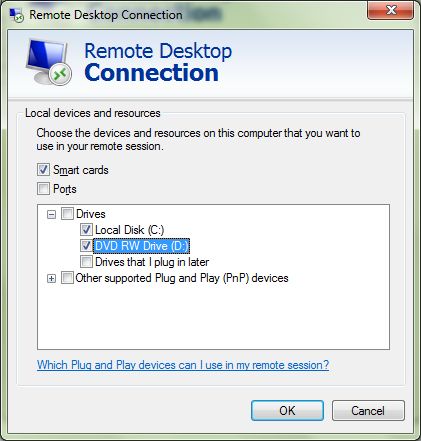 You can share either before you perform the remote connection or after it. Just tick "Drives that I plug in later" option if you choose the latter.